Do you do what you love and love what you do? Jim Ritson and Sophia Sandoval have created a space to share their loves with the community: delicious boutique wine and craft beers that have been carefully chosen by the pair and a celebration of creativity that perpetually hangs in the air. 4th Street Vine opened its doors five years ago with a focus on helping local musicians and artists showcase their talent. Originally the bar was Sandoval’s idea, she was sick of working as an accountant in the corporate world and used the Colorado Wine Company—a wine bar in Eagle Rock—as an inspiration for becoming her own small-business owner. As the bar neared opening, Ritson decided to leave behind his desk job as well. With his ardent enthusiasm for the business, it feels impossible to imagine the bar without him. Love of the neighborhood and community along Retro Row where 4th Street Vine is located resonates in Ritson. “To me this is the nucleolus of the culture in Long Beach,” he says. “Long Beach has always kind of been a collective of art and music lovers, or artists and musicians, and what 4th Street represents to me is the heart of that. Because of the local culture, Ritson says he always intended to run a gallery in the space, but with no background in curating shows, he went to Cal State Long Beach and spoke to the head of the art department. He put up a flyer—a call to artists—that resulted in a student group show. From that show he asked the students that he felt stood out to do solo shows. It slowly started to grow and now 4th Street Vine never seems to have a shortage of talented artists to display cohesive and engaging collections of work. The first band to perform at 4th Street Vine was a local Jazz collective fronted by pianist Clancy Cramer. The bands that have followed encompass an array of genres that exemplify Ritson’s eclectic taste and the diverse clientele of the bar. “The bar has customers and friends who are not just a part of any specific genre. It kind of runs the whole gamut,” says Ritson. The music scene at 4th Street Vine was on the rise until abruptly, in July 2012 they were made aware of the very strict rules and regulations that they had to adhere to. Ritson says, “The way that we are allowed to do music here in the bar, is any day of the week that we want, during business hours we can have up to two musicians perform together acoustically. No amplification. If we want to do anything beyond that we have to get a permit from the city.” They are allowed 24 permits per year and have settled on every other Saturday for the bigger/louder shows. Live music in a stripped down form is performed five nights a week aside from Thursdays and Sundays. Ritson has always been a music lover. He spent the majority of his 20s and 30s involved in the underground independent punk rock scene. He even ran a small record label from here in Long Beach with a partner up in Seattle. With Ritson’s background in construction they built the bar from scratch, starting with a white plaster box and shaping the space into its now modern Spartan atmosphere. 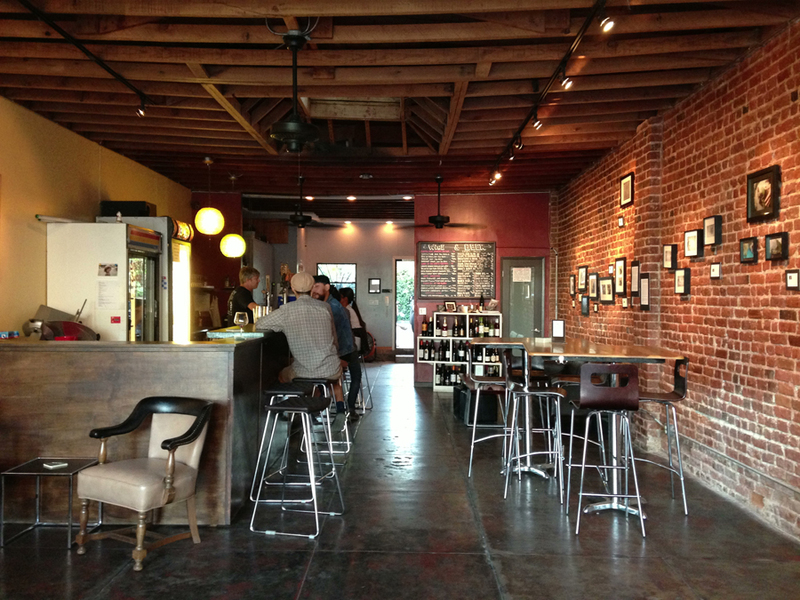 With the exposed brick wall and wooden rafter ceiling it’s a stark and appealing environment. 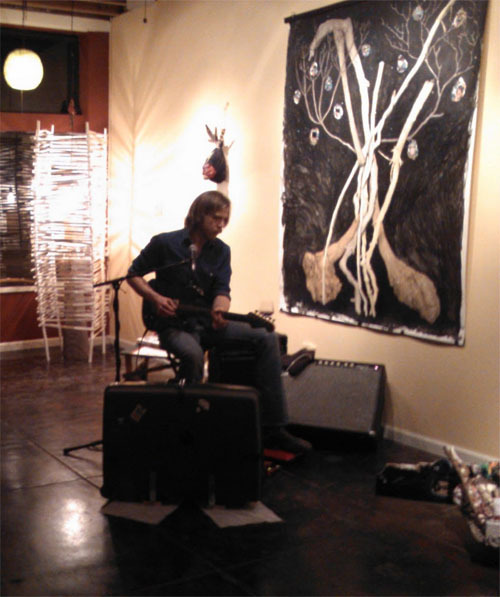 Riston believes whole-heartedly in the benefits of music and art and hopes to be able to loosen some of his restrictions to bring more of it to the community.